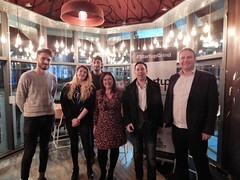 Our attendees will enjoy attending an evening of Education, Inspiration and Networking, this is an event included in the Global Entrepreneurship Week. Welcoming Mr Jean-Bertrand De Lartigue, CEO and Entrepreneur experienced in start-up through divestiture business leadership with proven track record in turnaround, acquisitions, management transition, and troubled asset environments in large and small businesses. With 40 years of steering companies through growth, recognising market opportunities, raising money and negotiating profitable financial partnerships. 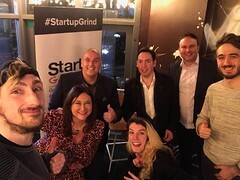 Background in developing expansion strategies through product commercialization, identifying advantageous acquisitions, setting up financial plans to raising money and leveraging competitive landscape. Excellent ability to identify future leaders, nurture talent and create sustainable succession plans developing high senior management teams. 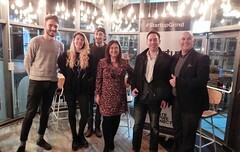 Startup Grind Cardiff are Quality events for Entrepreneurs by Entrepreneurs. We are present in over 110 Countries, in over 350 cities, the largest in the world. We are sponsored by Google for Entrepreneurs. 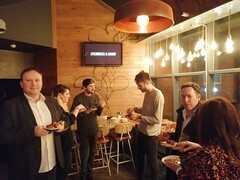 We host monthly meetups to Educate, Inspire and Connect Entrepreneurs. Help others first is one of our core values. Our events always have a nominal fee as our delegates receive such great value, introductions, exposure and many opportunities.